Q. I notice that I can get the clean done cheaper elsewhere . Why shouldn’t I go there if all oven cleans are the same ? A. Not all oven cleans are the same ! The quality of cleans varies enormously from Company to Company. It may appear similar to the untrained eye but often essential parts of the clean are being left out by cheaper Companies to save time . Oven Ace remove and clean behind panels , especially the fan panel- which if left untouched could eventually prove a fire hazard. The roof of the oven is also cleaned . We often see that this has been missed out by previous companies as they know that not many customers think to check there. And when they do they have came out with all sorts of ridiculous excuses to attempt to justify not cleaning it. Q. How long does it take to clean an oven ? A. Difficult one as time taken depends on many factors not just how greasy the oven may be. In general for a thorough job on a standard oven we would allow up to 3 hours for the “trickier” ones . But usually around about 2 hours would be the average time. Q. Are there any additional charges to be paid ? A. No , we operate a fixed price policy. So no hidden charges . The only thing you might have to add on would be parking charges if we have to use a meter or car park. Q. Do you include shelves and grill pans in the price ? A. Yes, unlike some companies that offer a cheap lead in price we do not charge for these items. Grill pans and enamel trays are done at our discretion . Meaning we either do them for free or not at all if they required more than a couple hours in the cleaning tank. But it is very rare that we would refuse to do these items. Q. Some companies are more expensive than you so they must do something extra ? A. I doubt that very much. Oven Ace Nw prides itself on doing a thorough job. We ensure the oven gets a minimum of 3 applications of our vegetable based paste to get the best possible results. What you are probably looking at are Franchise Companies who need to charge you more to subsidise their fees ! Q. I’m worried about what chemicals you will be using in my home ? A. None ! We only use a normal household paste. And this coupled with a great system and hard work is enough to produce first class results. Q. Do you clean between the oven glass ? A. Yes, its Company policy to remove the door and clean between all glass panels (sometimes as many as 4 ) unless it’s genuinely not possible. We don’t want to leave you with grease smears down the inside of the door ! Q. I’ve got a brand new kitchen fitted including the cooker and an expensive sink. Will everything be safe during the clean ? A. Absolutely , the floor is protected by dust sheets , the kitchen tops and adjacent cupboard doors are also protected. And great care is taken to ensure nothing is damaged. That is another reason we do not rush :- to minimise any chance of something going wrong.  But for your peace of mind we are fully insured and Full Members of The Association of Approved Oven Cleaners (TAAOC) and as such are bound by their standards, ethics and code of conduct. Q. How long have you been in business ? A. Oven Ace are now in their 9th year. Making us one of the longest established and most experienced Independent Companies in Merseyside. Q. Do you carry spare parts ? A. Yes, naturally we cannot keep a full stock in the van. But we have appliance bulbs should you need them and some door seals, knobs and other various parts. If we don’t have it we will be happy to point you in the right direction for the best place to source them.